When Ed Gorman was starting an 11-unit townhome project in Scottsdale, Arizona, he was hesitant to work with a broker on getting him financing. But after engaging the broker and being referred to Stearns Bank, Ed couldn’t have been happier with the construction loan he was able to work out. 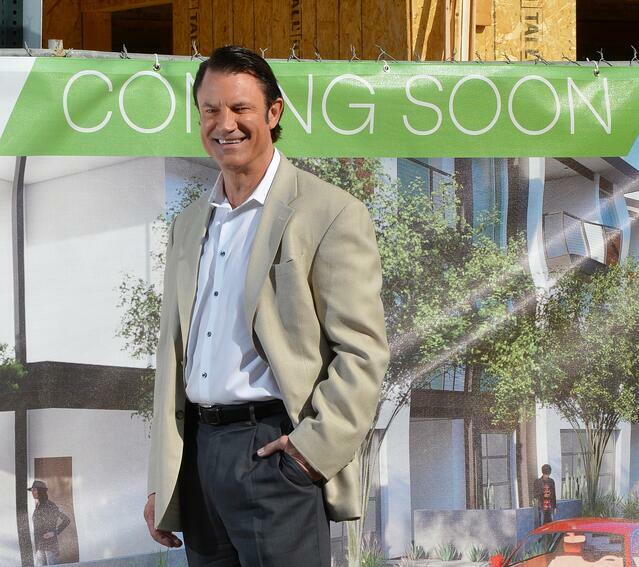 Ed is the president of MODUS Development, a Phoenix-based real estate investment and development company. "Stearns Bank was responsive to our request right away. They liked our location, in the heart of Scottsdale, and we had everything negotiated in a few days. The process was smooth. We definitely found the right bank for us. We wouldn’t hesitate to do it again,” Ed said. MODUS aims to create energy efficient developments that can attract quality buyers and produce higher and faster returns for investors. The townhome project MODUS is building is on budget and ahead of schedule. Ed plans on doing more work with Stearns Bank Arizona Market Manager Tom Hosier in the future. “Stearns Bank is a lender we feel really good about,” Ed said. “This was a small project for Stearns, but we really appreciated how professional everyone was. Ed wouldn’t have a problem referring Stearns Bank to other commercial developers.